Spanning over a period of 22 years, Judy held senior level positions with international human resource firms. Instrumental in launching and growing these firms, in equity positions, Judy’s depth of knowledge extended beyond the technical field of human resources focusing more on driving business through strong leadership, process management and progressive sales and marketing initiatives. After her third M&A experience where she was instrumental in uniting company cultures and streamlining operations, Judy set out on a new career path in the food industry. In 2002, she launched a gourmet food distribution company, specializing in bringing international, health-oriented food products to the Canadian retailer nationally. After selling the company in 2014, Judy launched Haylind Business Consulting, attracting a broad range of clients spanning multiple industries and market sectors. Specializing in the areas of sales, marketing and human resources management, Judy is driven by the need to contribute and a passion to ensure that her clients derive a measurable return from her involvement in their companies. 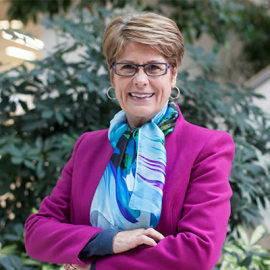 Judy also serves as an Entrepreneur in Residence for Haltech Regional Innovation Centre.